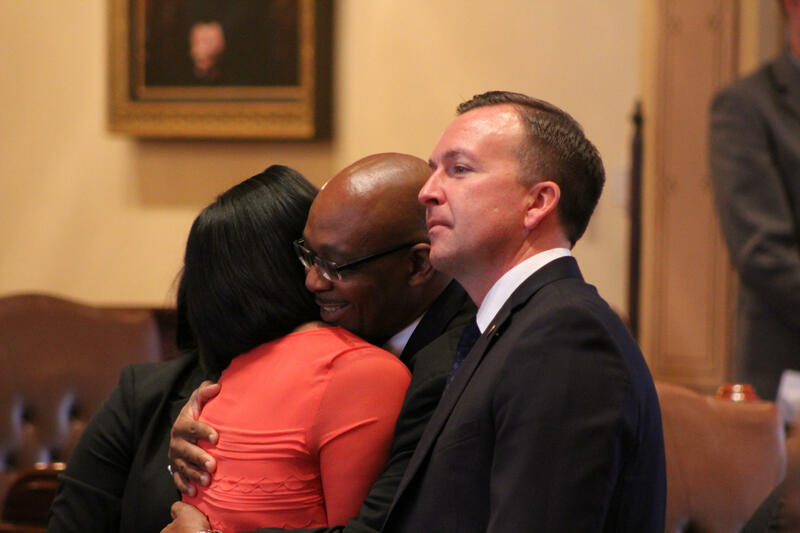 State Sen. Kimberly Lightford hugs Rep. Will Davis while Sen. Andy Manar Looks on. 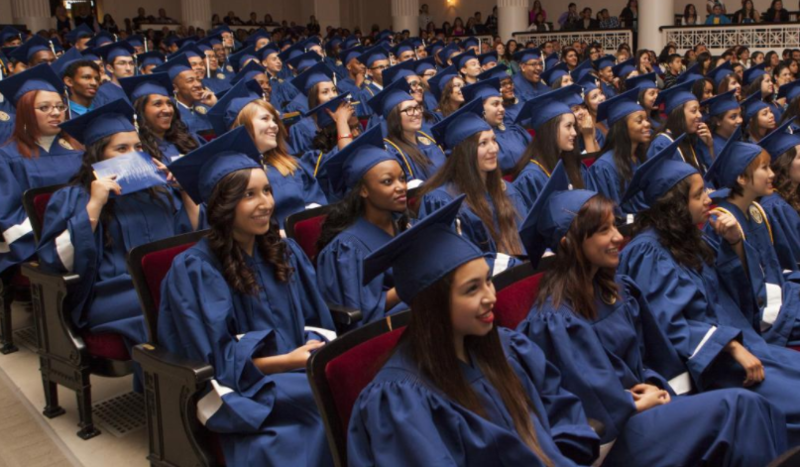 The three Democrats have spent a significant part of their legislative careers trying to change the way Illinois funds education. Hear Sean Crawford quiz Dusty Rhodes about the meaning of this legislation. State Senator Andy Manar, a Democrat from Bunker Hill, has been leading the charge since 2013. And even though the bill that finally won approval had a few things he didn't like and missed a few things he did, he's counting it as a win. "All along the way, especially toward the end of this debate, we knew this was a moment we had to grab and not let go of," he said. Backers are calling it a landmark reform. It would focus state spending on areas with more students in poverty — though no school district would get less funding than it does today. The legislation would also create a tax credit — demanded by Republicans — for donating to a new private school scholarship program. Democratic State Senator Kimberly Lightford, from Chicago, says the change has been a long time in coming. 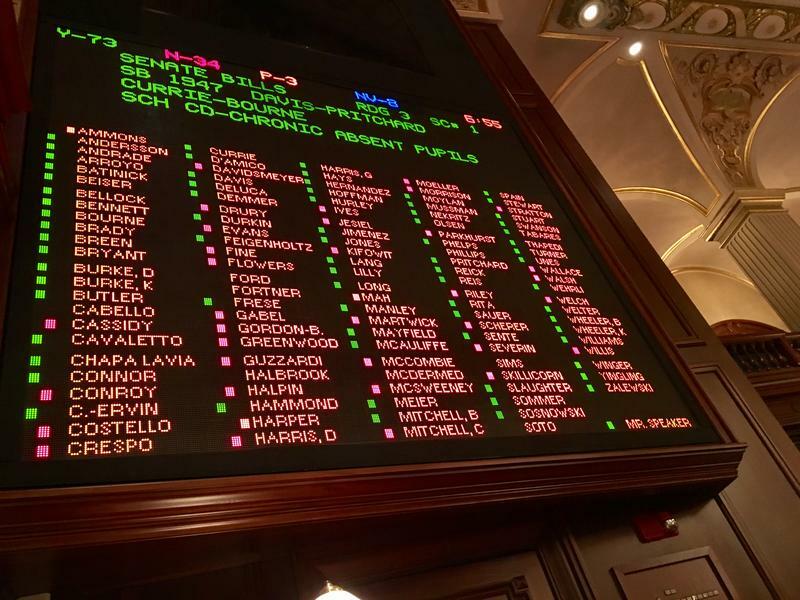 With today’s vote in the state Senate, all that remains is for Gov. Bruce Rauner to sign the bill into law, which he has said he’ll do. 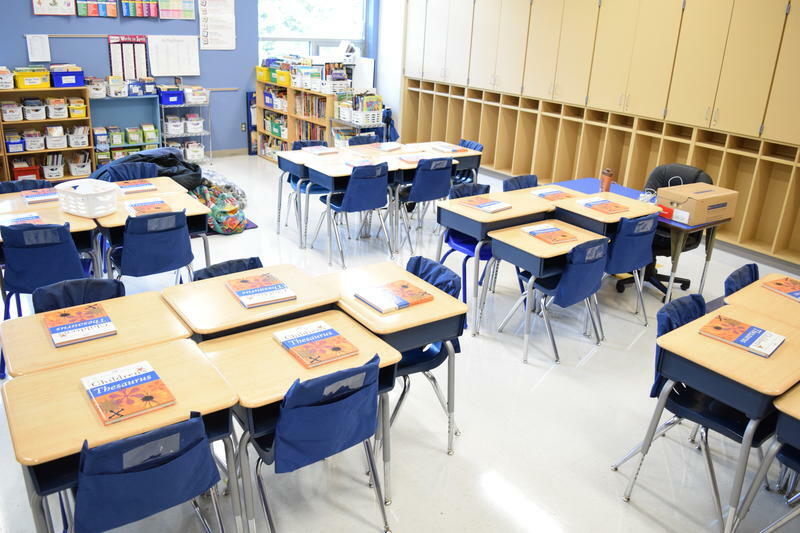 The governor has said he will sign the school funding bill into law.